We’ve had a good harvest of spadefish and amberjacks this year. Also of note are a particularly nice amberjack and a cobia with my new Super Magnum, and a really nice sheepshead with my new pistol. I was amazed by how easy the Super Magnum is to load and how it points just like my Northeaster and my Pistol. There was no learning curve. Just load , point, shoot, and harvest fish! 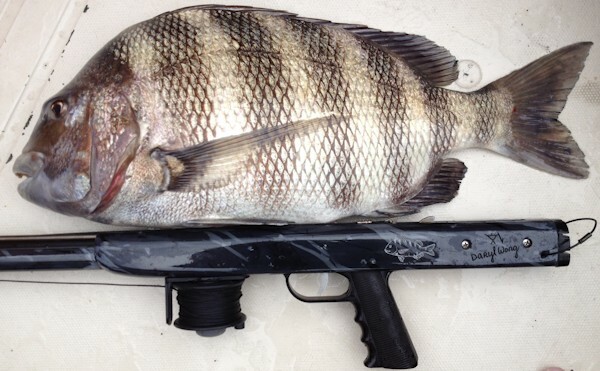 Attached are a couple of photos of my best sheepshead with the pistol. Unfortunately, I haven’t had a chance to get the magnum into a good photo yet. Thanks for building a great gun! Here are a couple of photos to go with my previous e-mail. The photo on the dock is a fish I took Saturday. The one in the water shot was last week's. It is amazing to me how a little, easy to load, lightweight gun can so easily punch through such a thick, well armored fish! 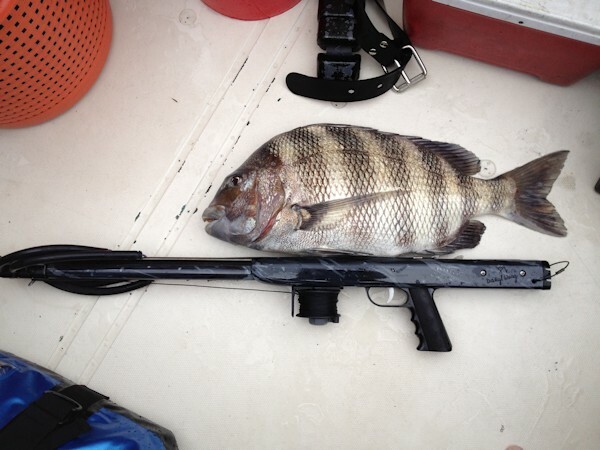 I purchased the gun to shoot sheepsheads, spadefish, and tautogs, but it sure hammers the drum too! We've got to rename this gun the "CBBT Hand Cannon!" It will kill anything you can bump into at the Chesapeake Bay Bridge Tunnel. 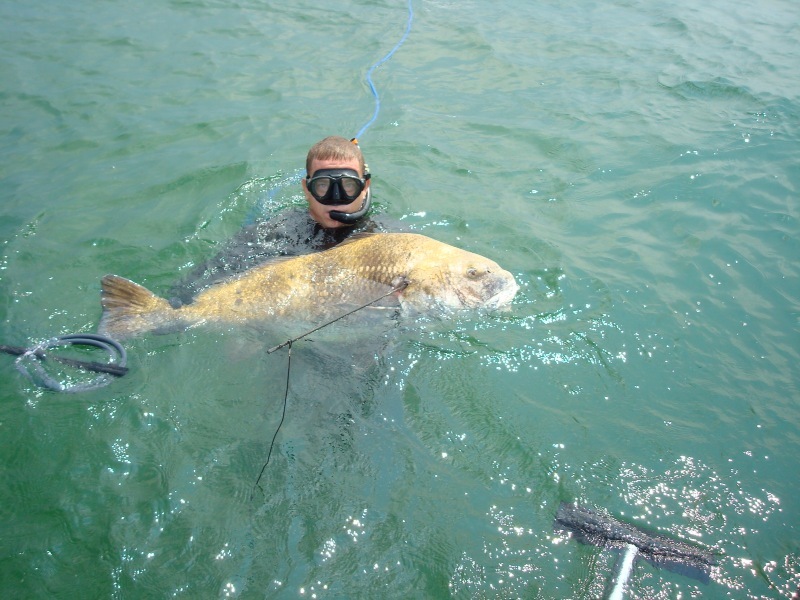 For reference, the drum was about 60#, the biggest sheepshead 12lb 9oz (VA citation is 8 or 10 lbs state record is 20). I did not shoot the biggest tog, but the second biggest and they were both citation weight. The shameful hockey puck sized spadefish were my cousin’s. It was his first trip!